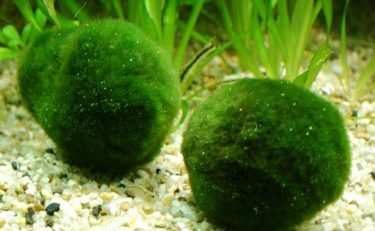 Marimo Moss Balls are part of the Cladorphoracaea family of filamentous green algae that form in numerous northern hemisphere lakes found in Japan, Iceland, Scotland, and Estonia. 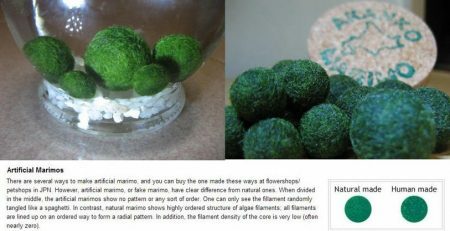 Marimo are algae themselves that grow in a radial pattern and eventually become spheres, or “moss balls.” They do well in low-lit environments, moving toward strands of light on their own. 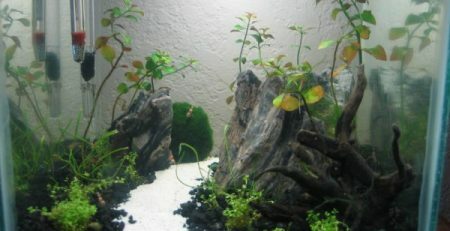 They are also popular in ponds and aquariums because Marimo consume the nutrients undesired algae need. 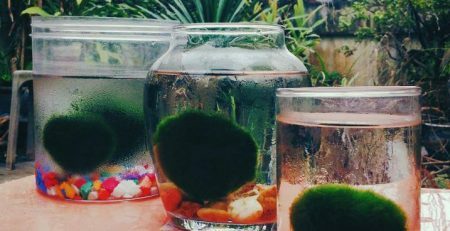 Marimo grow very slowly, typically growing five millimeters every year if cared for well–it will take about 20 years to grow a Marimo to three centimeters in diameter. Photosynthesis happens via indirect light for the Marimo and releases carbon dioxide naturally. 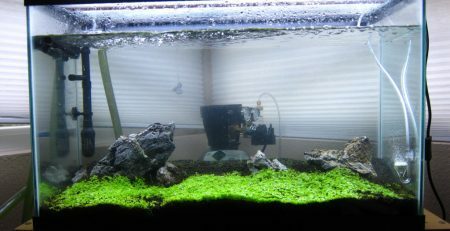 However, there are two, albeit unconventional, ways to increase the Marimo’s growth rate with CO2. 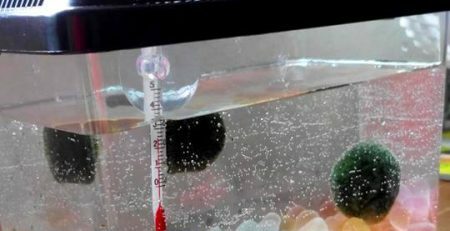 One such way to increase the speed of growth for Marimo Moth Balls is to soak the Marimo Moss Ball in club soda. The carbonation found in club soda contributes the CO2 factor the Marimo need and in higher quantity. Club soda does not contain any dangerous additives found in other carbonated drinks and won’t infuse the Marimo with unwanted chemicals. The elevated carbon dioxide favors the Marimo and algae but could affect any other aquatic creatures and fish negatively. Another method is to place decomposing plant material in the tank. The decomposing matter releases carbon dioxide, so the Marimo benefit from that increased supply. Try not to put too much in if with fish to keep the necessary oxygen levels high enough and make sure to have a decent filter. 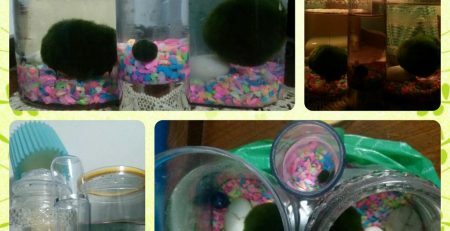 Interestingly, people have had success in growth speed by splitting existing Marimos into multiple people, rolling them into miniature Marimo. 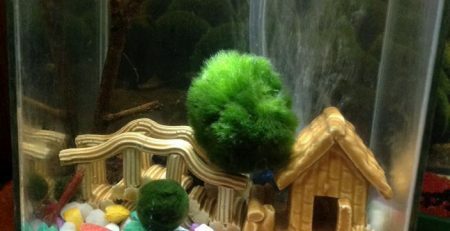 Because Marimo are made up of individual algae filaments, the central algae strings are inert and can be reanimated with four to six hours of light exposure, which prompts fresh photosynthesis. 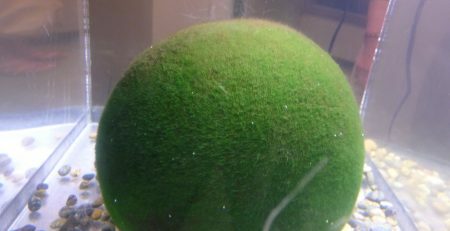 Marimo Moss Balls will not grow rapidly, but CO2 is the best way to speed up their growth. 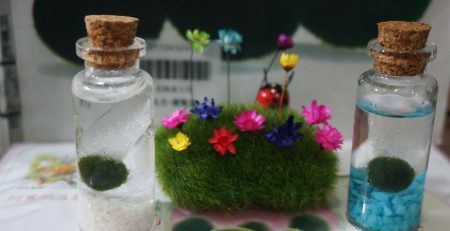 Of course, keeping the Marimo healthy and clean will optimize its growth for its long lifetime.